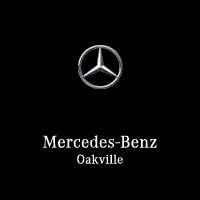 By choosing Mercedes-Benz Oakville Collision Centre to restore, replace and repair your Mercedes-Benz vehicles, smart Cars and Sprinter Vans, you will have peace of mind knowing we are the only Mercedes-Benz Authorized Collision Centre in West of the GTYA in southwestern Ontario. Our trained technicians will work to restore your vehicle’s appearance to the same fit and finish as the day you first drove it from the showroom. We are equipped to repair and restore the minor interior and exterior incidents your Mercedes-Benz is susceptible to as a result of daily wear and tear. Among other things, we are able to repair your leather and Artico seats, polished wood trim, aluminum accents, ceiling fabric, carpet, stone-chips, dent removal, wheel refinishing and more. With our product knowledge, the tools and materials needed to repair a Mercedes-Benz, we are ready to bring your vehicle back to showroom quality. Our Mercedes-Benz Authorized Collision Centre is conveniently located West of our dealership on South Service Road in Oakville. Come and visit us when you want to return your vehicle to the best of its appearance and performance. Vehicle maintenance is only part of what your Mercedes-Benz needs. It works hard and makes you look good so you’ll want to pamper it too! Our extensive menu of Star Spa Services is designed to meet the level of pampering you want to give your vehicle or van. We use Mercedes-Benz brand cleaning agents, cleaning cloths and other formulated Mercedes-Benz endorsed products that’ll return your vehicle to its best possible look. Reach out to our Star Spa Team and arrange for your Mercedes-Benz to get a spa treatment at its next service. We promise to deliver results that will consistently exceed your expectations. Call us today to schedule an appointment and have your vehicle ready for the sunny days ahead.